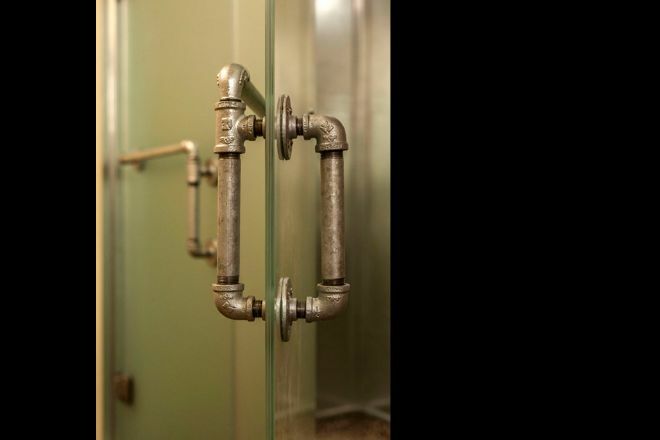 When we consider a rustic cabin in the woods it is often the home of a hermit, sporting the character of many DIY jobs using the mismatching materials which are immediately at hand. What if this pioneer spirit were to be imagined by the professionals of contemporary architecture and design? Welcome to Hermitage at Grand E Camp. 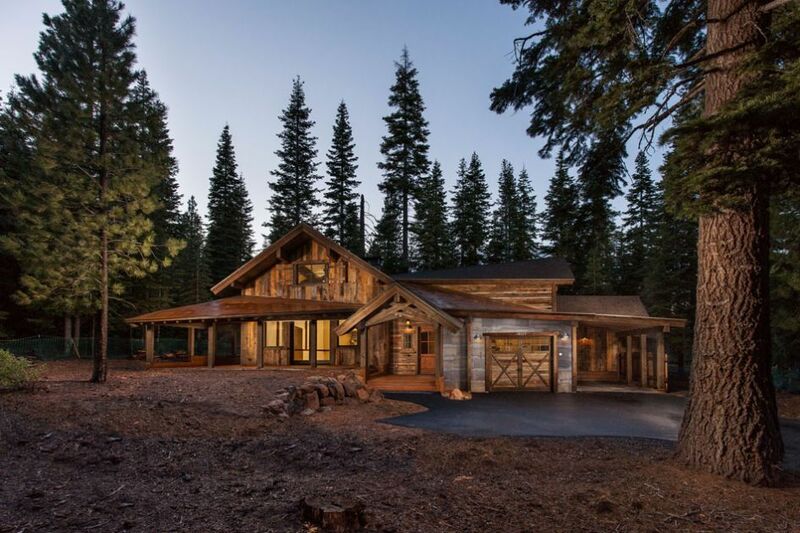 This luxury rustic cabin is located in the forest of exclusive Martis Camp: An amenity-rich private community near Lake Tahoe in northern California. 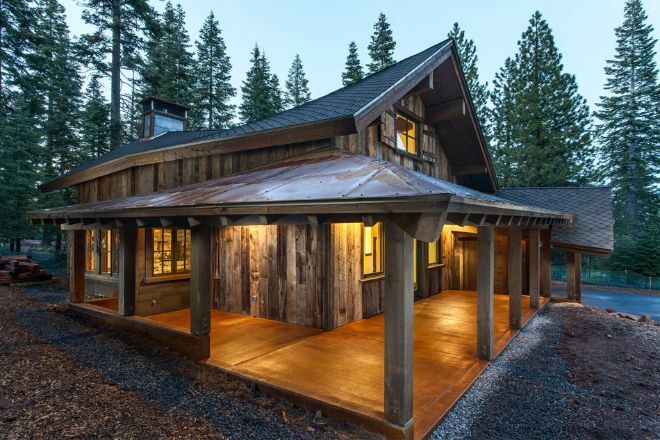 This gorgeous log cabin was constructed with reclaimed materials, giving the impression of a retreat which was single-handedly constructed over a long period of time. The interior is a combination of unrefined beauty and state-of-the-art quality. Built by Stuart Spear Construction, the floor plan covers 2,032 square feet (188.8 square meters) and features a large great room, two lofted bedrooms, and one-and-one-half bathrooms. 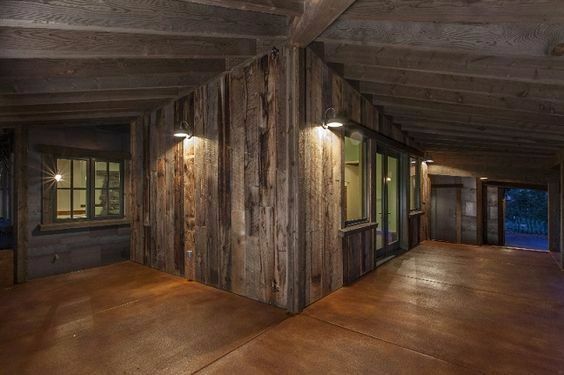 The unsophisticated exterior gives the impression of a cabin which has sat in the woods for centuries. As we get closer, we begin to see the detail in the aged wood. This house is a genuine rustic delight! Irregular panels make up the fence, with the appearance of a historic cabin which was slowly repaired over a long period of time by a solitary owner. 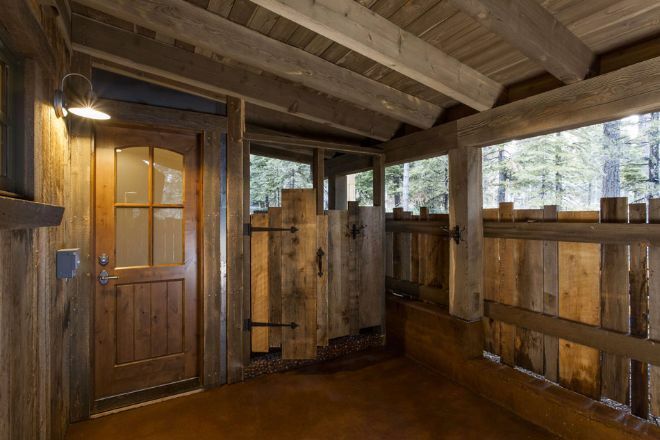 The deep covered porch is finished with a high-quality hardwood floor - perfect for relaxing evenings to quietly contemplate the forest. 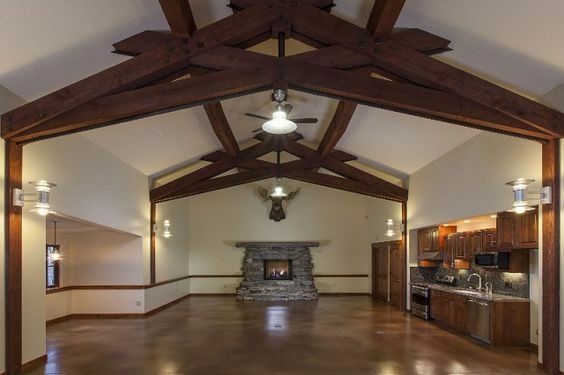 When we step inside the cabin, we find an enormous great room with a soaring ceiling. This expansive living room is a sleek living space with a robust stone fireplace to center a cozy lounge. 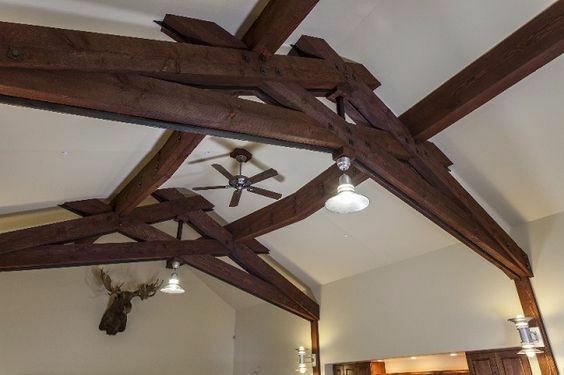 The cathedral ceiling is finished with commanding dark wood beams. So ornate the wood, the room requires little further decoration. The stylish kitchen is a simple cooking space which is fixed back against one wall. 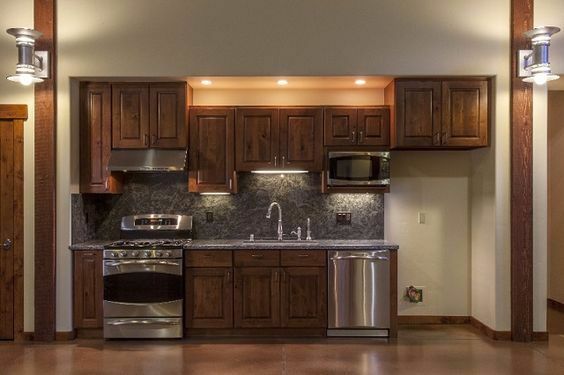 The stainless steel appliances are of top quality, whilst the stone tiling is a reminder of the rural nature of this home. 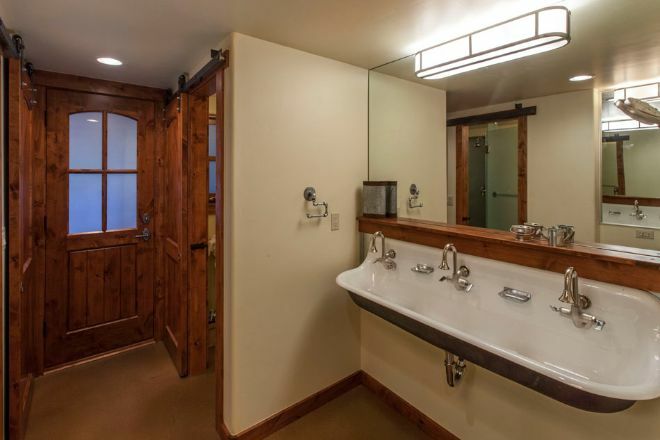 The main bathroom is fashioned in the style of a communal lodge, featuring this gorgeous three-faucet sink. The heart of Hermitage at Grand E Camp is in the details. Individual features make up this special and unique log cabin. A stunning cabin, huh? SHARE this tour with your friends on Facebook. Spread the log home love! This log cottage in Whistler, Canada, has everything a large family needs for a vacation abroad.